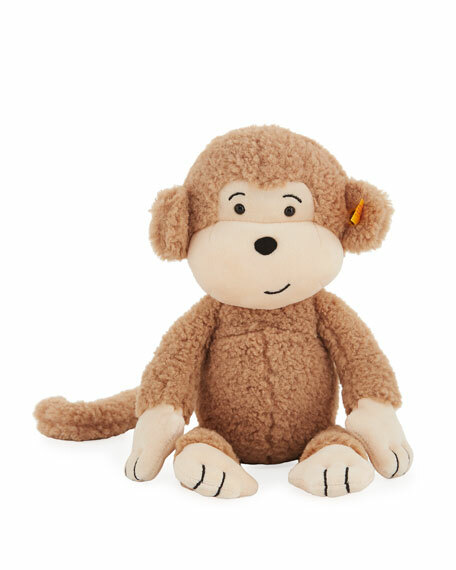 Steiff Brownie Stuffed Animal Monkey, 12"
SteiffBrownie Stuffed Animal Monkey, 12"
Steiff "Brownie" stuffed money of ultra-soft and sumptuous fabrics. Independently tested to meet rigorous U.S. and European safety standards. A "Friend for Life" that's both durable and washable. World-famous "Button in Ear" trademark. Designed for ages 0 and up. Approx. 7"W x 4"D x 12"T.
For in-store inquiries, use sku #2560088.